The average email account receives dozens of spam emails every day. Most of these messages go directly to a spam folder, however; some get through are not only annoying, but can pose threats that we outlined in part 1 of our series on spam. Providing your email and other personal information on social media, websites, and blogs is sometimes required in order to access the desired content. But your personal information can also be obtained through social engineering tactics with companies that often share or sell your information, which leads to even more spam. The following tips and tricks can help you stop spam from reaching your inbox. One of the basic measures to prevent spam in your primary email is to create a temporary or disposable email address. If you need to use an email address for a business or company you deal with, create another email address. A temporary email address enables you to use an inbox temporarily or permanently when you need to click a link for verification of confirmation on websites in order to gain access to a site. You can use email privacy services such as Mozilla Thunderbird, which will encrypt an email address with security features to protect your data. This requires downloading an email add-on but includes features such as one-click address book, attachment reminders, multiple-channel chat, and tabbed email. Some spam may still find its way in your inbox, however; Thunderbird will slow it down. Never reply to or forward spam messages. The best thing to do is place them on your blocked email list. This includes the “unsubscribe” link at the bottom, which is most likely an invitation for even more spam since there is no way to verify the validity of that link. Do not click any links in a spam email. Spammers have become more sophisticated and can hide a spam message to make it appear as if it came from one of your contacts or from your own email address. Spam filters are anti-spam email security applications or services available as an additional measure for keeping spam out of your inbox. Some of the highest rated filters for blocking spam for 2016 include Mailwasher Pro by Firetrust, a spam filter program that blocks spam before it reaches your computer. Mailwasher Pro is designed for all email users from novice to advanced and is compatible with every email program and comes with a money back guarantee if it does not perform as needed. DesktopOne by Cloudmark is another spam filter to protect against spam, fishing, and viruses. DesktopOne will automatically filter email to a spam folder, filter multiple folders and accounts, manually scan your email, and provide technical support and account management. When you communicate with friends on social media or through chat sites and you want to share your email address, you should mask it. Remove dots and @ symbols as bots will automatically notice this and be able to collect it. Instead, type your email address as “Yourname at Gmail dot com” You may go even further to stop spam email by masking your email address and listing it as “Yourname at G male com.” Your friend should easily be able to distinguish your address. This practice keeps your email safe and avoids putting it out in plain text through chat or through your website. Not all spam is malicious, some of it is just plain old marketing. Along with spam from unknown sources such as those claiming you won a lottery or a foreign national wishes to donate money to you for no reason, you may see spam from e-newsletters and companies you contacted several years ago. You can control some of the spam you receive by unsubscribing from marketing emails. While this may be tedious, it is well worth it if you can save even a few seconds a day uncluttering your inbox. 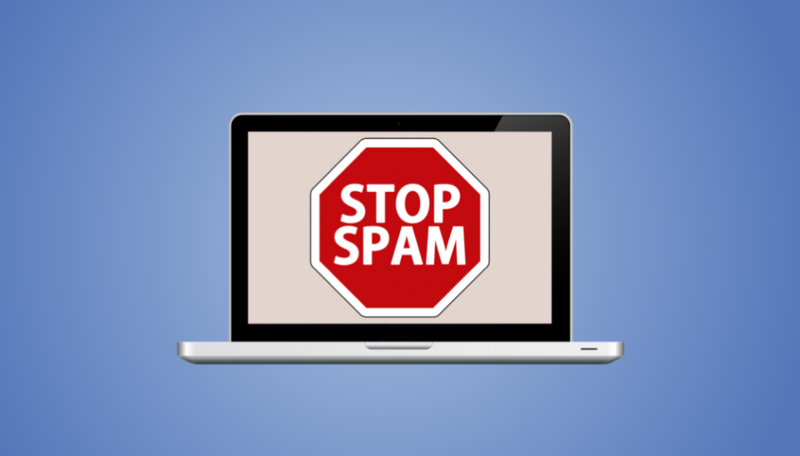 Spam filters are not perfect and may filter legitimate emails you would like to see such as job offers and discounts. These false positives could lead to missed connections from old friends or colleagues trying to reach out to you. For this reason, you should check your spam folder on occasion just to see how well your spam filter is working. Check for any false positives that slipped through. When glancing over your spam folder, check for any subjects or senders of emails for legitimate content. Emails with no subject line are often classified as spam so check your folders in case a friend tried to contact you but neglected to enter a subject line. To avoid false positives from spam folders, you can create a whitelist in many spam filters. This whitelist allows verified emails to reach your inbox. 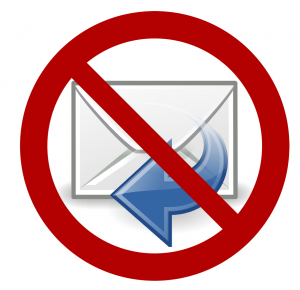 You do not have to create a whitelist for every email you wish to receive, however; it will prevent many false positives from appearing in your spam folder.